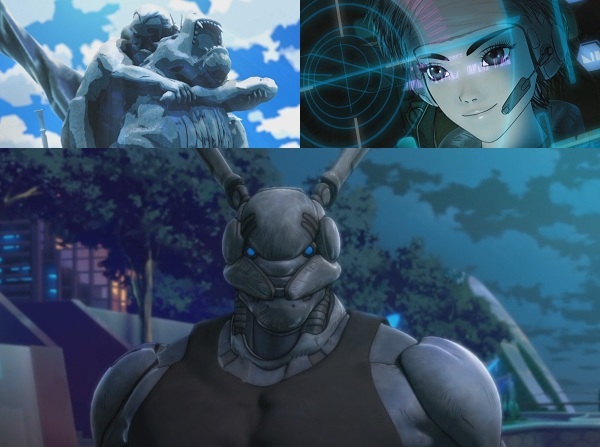 My memory of the original story is a bit sketchy but the jist of it is that Deunan and Briareos are members of an elite armoured police special forces type squad, they are also lovers and to make things even more interesting/complicated, Briareos is a cyborg. Thats pretty much all I can remember of the story and let me tell you that the 1st episode did absolutely not help me in expanding that. The episode is quite a mess, they jump between the past and present at will and without warning as they try and how things came to be but at the same time they are introducing characters as well as doing a bit of character development on the main two. Basically they are just trying to do too much, hell they even threw some fanservice in which was rather random. I did however appreciate that they put Briareos the cyborg in a larger armoured suit which looks exaclty like he does out of the suit. Masamune Shirow’s Appleseed manga is a good story as are most Shirow stories (Ghost in the Shell, Dominion Tank Police, Ghosthound, etc) but for some reason the anime adaptations always seem to fall short. 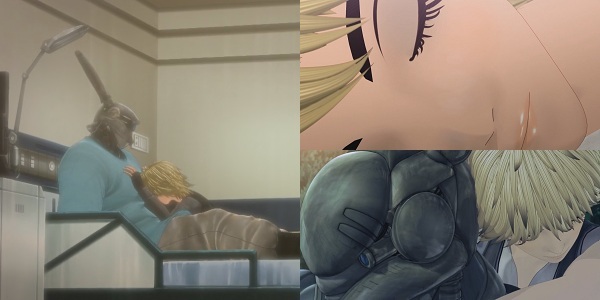 The original OVA series aside, it always seems to end up as one big CGI action explosion fests, almost completely ignoring that at the core of it all, Appleseed is essentially one big romance story. That being said the action sequences are pretty good but it doesn’t really look like they have changed the CGI models since the last film and as a result it looks all dated and in some cases even worse. So why has it taken so long for this to be made given the time and budget (it bankrupted an anime studio)? I was expecting uch more. No I won’t be blogging this, instead I’d rather go and watch the previous incarnations of the series. This current one seems to drop the ball on numerous occasions and certainly wasn’t worth the wait. Why do I aways set myself up for disappoinment? I don’t remember Deunan being so childish and immature, they really screw her up…. speaking of late, my posts Mayo Chiki and Idolmaster ep 4 will be late since i’m on a US trip for 4 days. 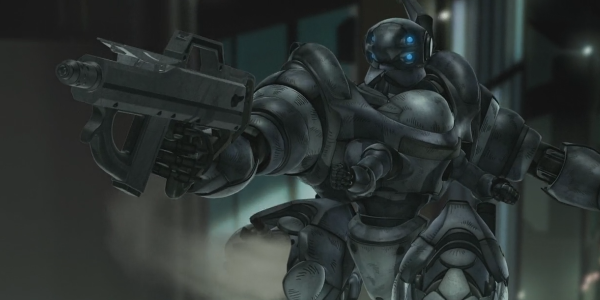 BTW, Appleseed XIII’s CG animation just turns me off. My memories of Appleseed isn’t great, but I feel there has been better CG in past Appleseed adaptations. Thats what I thought too, it looks worse than the previous one. Yeah, I really wish they would just stop trying with CG for appleseed, it doesn’t look at all good, and the same animation studio did Fireball Charming, which had far better animation, where did they go so wrong? Its obvious that the producers totally botched the project. Everything that could of gone wrong went totally wrong. The probably only consulted a couple issues of the manga and went on on their own tangent. Totally ignoring the Appleseed Databook (The Appleseed Bible/Canon). I don’t recommend it, for any Shirow Masamune fan…. btw episode #2 is out, its not any better.